The search is beginning for speakers and performers for the third TEDxFolkestone which takes place on Saturday, June 22, at The Quarterhouse, Folkestone. No previous public speaking experience is necessary, just a vision of A Reimagined Future which is the event’s theme for 2019. Speakers have freedom to address the subject of their choice just as long as it follows the theme of A Reimagined Future, while performances can be of any type. 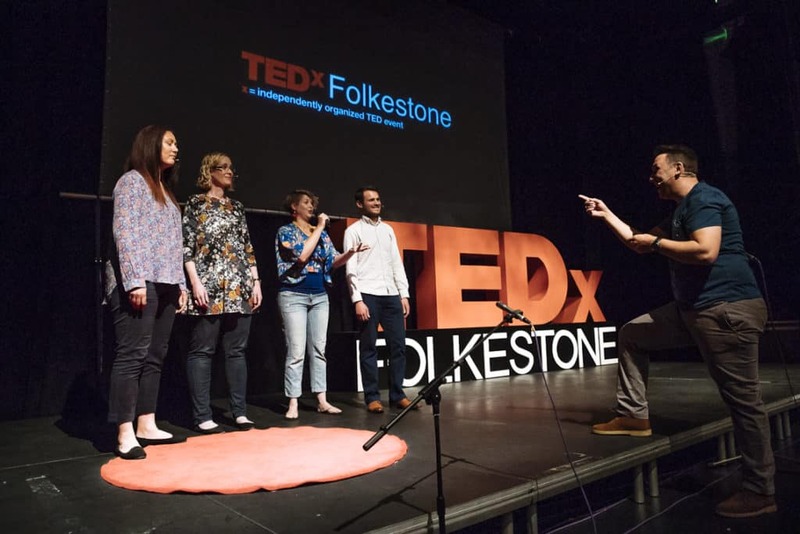 At TEDxFolkestone, we pride ourselves on building a community of speakers and performers, who not only deliver thought provoking messages and engaging performances, but who also build friendships and networks within the TEDx community too. TED is a platform to share new ideas and so is a great opportunity to really think outside the box. As well as more traditional standout stand-alone performances, we are also very interested to hear proposals and ideas for unique bespoke creative interpretations of our theme – we welcome everyone from singer/songwriters, poets, choirs and dancers, to performance pieces, immersive experiences or audience participation. Applications to speak or perform at TEDxFolkestone are now open – click here to find out how to apply. Potential participants have the chance to gain feedback and insight for the development of their idea and application, at two open ‘pitch nights’ at The Chambers in Folkestone, on November 27 for speakers and December 14 for performers. IMPORTANT: The deadline for speaker and performer applications is Monday January 14, so don’t leave it too late!